Documentary wedding photography has received a lot of attention in the recent past. The unique differences that you can see in wedding photography have contributed towards the above mentioned fact. Documentary wedding photography is all about taking a close up view of the wedding, in the form of a timeline. In other words, a documentary photography will capture the moments of your wedding frame by frame and add them into a timeline to replicate a story. Hence, it’s all about documenting the special event of your life. One of the main reasons why people prefer to go forward with documentary wedding photography is to experience the objectiveness of images. All the events that take place during the wedding day will be captured as they happen. All the photos that you get will represent actual events that happen during the exam. They are captured from the viewpoint of a photo artist. Therefore, you would love the output that you get at the end of the day. However, it is important to keep in mind that the perspectives change from one person to another. Therefore, you should be careful to select a reputed reportage wedding photographer to end up with the best possible results. Couples who are looking forward to celebrate their weddings in Cornwall should go ahead with a documentary wedding photography service. It is the best method available for you to make your wedding photos look fabulous. Cornwall is blessed with natural beauty. You will be able to find some of the best beaches of South UK in Cornwall. Alongside the beaches, you will be able to find small fishing villages, which have contributed a lot towards the beauty of the surroundings. Here is a list of some of the best wedding venues that you can find in Cornwall. If you are looking to get the help of a reportage wedding photography service, these would be the perfect options available to consider as well. • Alverton Hotel – If you are looking forward to celebrate a traditional themed wedding, you can go ahead with Alverton Hotel. The best thing about Alverton Hotel is its surrounding. In fact, the greenery surrounding of this hotel can create a perfect atmosphere for documentary wedding photography as well. Mullioned windows, towering sandstone walls and stunning interior architecture that you can find in this hotel have contributed towards the above mentioned fact. If you are a person who has an interest towards historical buildings, you will be amazed with what’s offered at Alverton Hotel. • Brewhouse – Brewhouse can be considered as the most popular wedding venue that you can find in St Ives. It also offers stunning views, which are ideal for reportage photography. Interior of this hotel is filled with natural sunlight. Another impressive feature about Brewhouse is that it has got a small scale brewery downstairs. Hence, you will be able to supply plenty of beer to all the guests who come to the wedding as well. • Deer Park Hotel - Deer Park Hotel is a spacious hotel, which is filled with extensive gardens and lawns. Couples who are interested in documentary photography will love the greenish backgrounds that they are provided with. Plenty of space is available for you to celebrate your wedding at Deer Park Hotel. Hence, it can provide the perfect start for your new life. Apart from these prominent venues, you will be able to find many other amazing destinations. You just need to go ahead with the best wedding venue and make your event look colorful at the end of the day. 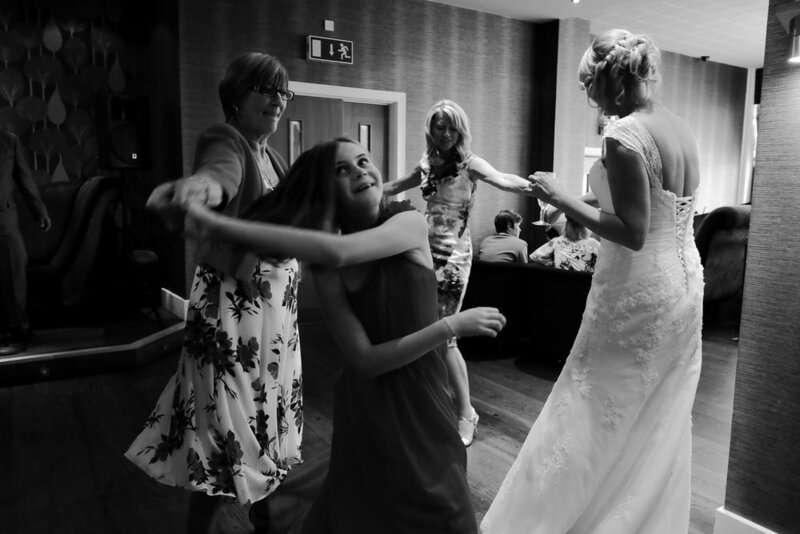 Get in touch if you would like to book me as your reportage wedding photographer.